Tower Lifts is delighted to announce the completion of their passenger lift installation for Manorgrove Homes. Situated on The Drive in Ickenham, Uxbridge, this luxury conversion provides a delightful haven, nestled in 8.5 acres of garden, with excellent high speed connections into central London. What started life as a Grade II Georgian country residence, has now re-incarnated as home to 25 luxury two and three bedroom properties. Manorgrove Homes has retained many of the building’s beautiful original features. Each of the apartments enjoys high ceilings, and elegant sash windows complete with views of the beautifully landscaped gardens. Whilst the aesthetic is Georgian, there’s a whole range of contemporary pleasures on hand. The gardens provide tennis courts, and a pavilion. Inside, there’s an indoor pool, a gym and a sauna & steam room. The vision for the development is all about achieving a perfect work/life balance. This is country living with all the amenities of contemporary city life on the doorstep. A bespoke Tower Lifts passenger lift sits at the heart of this beautiful conversion. It’s designed to provide access for all the apartment owners to their homes throughout the mansion. Our 5 stop, 10 person passenger lift has a custom sized cabin and custom finishes. The lift is user-friendly for all, including mobility impaired passengers. 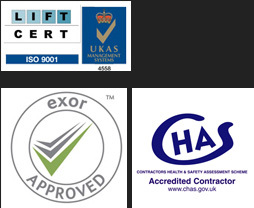 As with all our lift installations, we guarantee an excellent user experience and durable, reliable service. Ever since 1999, Manorgrove Homes has been creating luxury properties distinguished by exceptionally high quality. Tower Lifts is delighted to be associated with their brand. As a leading UK provider of bespoke passenger lifts, we have 15 years’ experience of designing lifts that integrate seamlessly with their surroundings. Passenger comfort and safety always sits at the heart of all we do, and we design for durable service, and reliable quality of transport. If you require a bespoke lift which is customised to match its surroundings, call the Tower Lift design team on 01525 601099 to discuss your design requirements.